This Road to Hana on Maui article is a continuation of our series on the Hana Highway. 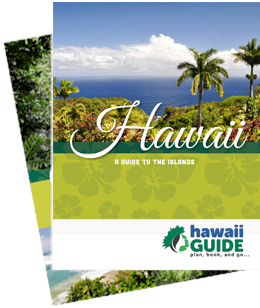 Most of this information is pulled directly from our exclusive Hana Highway Guide Book, so be sure to grab your copy. Part two of our series on the Hana Highway includes the best sights to visit along the way. Since we have visited every single stop along the drive, we feel we can accurately give you a good idea of which places are worth stopping at, and which you can skip altogether. First, we should note that there are a large number of pullouts along the Hana Highway, and the vast majority of them have absolutely nothing worth seeing. There are a few hidden gems along the way, but don't fall for the "but everyone is parked there" trick that snags so many visitors. Trust us, we've hit ALL the stops and can assure you that many places you'll see cars pulled over at are a complete waste of your time. Below we'll cover which sights to definitely stop at, and ONLY those stops to visit or to consider visiting. If it's not listed, don't waste your time. If it's a big tourist trap, we'll note that, too, since you may be tempted to forgo our advice and stop anyway. If you think that figuring out where to stop seems like too much hassle, we suggest you book an adventure with our favorite Road to Hana tour provider- Valley Isle Excursions. We love everything about them and you will, too. Their expert local guides are top notch, their luxury custom cruisers are comfortable and have huge panoramic windows, and groups are kept small. They even offer hotel pick up. Best of all, they are the first Hawaii-based tour company to complete the Hawaii Green Business Program. We highly recommend them. For those of you who plan to head out on your own, we advise you to invest in a copy of our Hana Highway Guidebook. Please note that MM = Mile Marker. As we noted in the first portion of this series, we do recommend making these stops in reverse heading away from Hana, although we've listed them in order here so you can make note of them as you head towards Hana. On the way back, just use this list in reverse. For the stops beyond Hana, we advise you make them in the order listed, taking the Piilani Highway all the way around to Upcountry Maui (if your rental company allows it). For what it's worth, the road beyond the Oheo Gulch is perfectly fine for any rental car. You'd be surprised by what kinds of cars we've seen make it through that stretch with no problem; everything from big trucks to very small foreign cars. This is by far the largest waste of time when starting the drive. We see cars piled up here by the dozen and we just can't understand why. Compared to what's ahead of you, it's a waste of time. We only note it here because so many people DO stop here. The vendors are very friendly and offer some good products, but other than that we recommend skipping this stop. We enjoy this stop because it allows you to take a short stroll through the rainforest. However, there's no waterfall access and nothing to see other than the lush vegetation in the forest. If that's not your cup of tea, skip this spot. Garden of Eden is one of the best gardens on Maui and we consider this a must see. The admission price is a bit steep, but the garden is meticulously maintained and worth a visit. It offers several great panoramic overlooks of the Pacific and also offers you a view of both Lower and Upper Puohokamoa Falls. On the way out, you have the option of stopping at a gallery where you'll find beautiful products made by local artists. Right before you exit the grounds there's little spot where homemade ice cream is served- definitely a treat if you are in the mood. A pretty park that had its facilities upgraded a few years ago. Offers nice views of Keanae Peninsula ahead of you, but beyond that, there's nothing worth stopping for. You could easily skip this spot and never miss anything, in our opinion. One of the best stops along the Hana Highway that allows you to actually SEE the Hana Highway as it snakes across the cliffside. Our favorite pull out is the very large one (on the mauka/inland side of the road) 4/10th of a mile past MM 14. The other pullouts are either obstructed by vegetation or do not offer the same quality view as the aforementioned pullout. Worth a stop if you have some extra time. The coastal views are beautiful and it's a neat way to see one of Haleakala's most recent lava flows up close (you're on it). Whether you're looking to ride the Hana Highway in comfort and style, are ready to lace up those hiking boots and hit the trail, or would prefer to soar over the Valley Isle and get a birds-eye-view of this magical island, these are our favorite Maui tours and activities. Book your adventure today! We think this is a spot you can skip. We note it because everyone stops here for either the facilities or lunch. None of the waterfalls are worth stopping for, so keep on moving... unless you must heed the call of nature! After Puaa Kaa State Wayside park there are a number of stops we detail online and in our book but most, if not all, can be skipped. Many of the waterfalls are small and not worth your time. Nahiku Road has become a location that's WAY over visited, so we don't advise people to drive down this road any longer. If you do go, don't expect friendly people to greet you there. One of the only black sand beaches on the island of Maui is located here. It also makes a great spot for lunch. You can probably skip the wet caves portion, as we've never been overly impressed by that part of the park. Not to mention some folks seem to have used the caves as a restroom - so that's another good reason to skip them. Honestly, there's nothing to see in Hana town with the exception of a few little stores with souvenirs; although the town is quaint and welcoming. Keep heading towards the Oheo Gulch if you've got time left, or turn back to see some of the smaller sights. Mile markers are now counting down, just FYI. Heading away from Hana, turn makai (toward the ocean) onto Haneoo Road when you reach it. The first lookout on the left is Koki Beach overlook but you can skip this and continue to Hamoa Beach further ahead. Parking can be bad later in the day, but this stop is worth it. In fact, we think this is the prettiest beach on Maui. Here you'll find what may be the most scenic and easily accessible falls in all of Hawaii: Wailua Falls. This is one of our favorite stops along the entire drive, and we believe this falls alone is worth the drive. If the flow isn't too heavy, take the short mauka (inland) trail to the base of the falls that starts on the Hana side of the bridge. OK, so here's the big reward for all that driving. Some of the most pristine pools in all of Hawaii are here. If the weather is good, visitors are often permitted to swim at the pools. If not, you're still in luck because there's a nice hike up the Pipiwai Trail to the gorgeous 400' Waimoku Falls. Expect to spend anywhere from 1-4 hours at this stop. Be sure to leave in time to get back (via either route) before dark, and leave especially early during the winter months. Note that the park isn't crowded early in the morning between 7am - 9am, but after that it gets quite busy. Beyond the Oheo Gulch (heading towards Upcountry Maui), the road does get a little rough in places; but again, we think you'll be fine if you try it. Just remember that you do so at your own risk and we are not suggesting you drive it. (Hat tip to the lawyers!) Just enjoy the view as you make this drive, and stop when you can to snap some pictures of Haleakala's "back side." This area is dramatically different than the Hana Highway just on the other side of the mountain; it's almost surreal, actually. Note that the wind is very strong on this section of the island so be sure to leave anything that might blow away easily in your vehicle. Once you reach Upcountry Maui, there are some gardens you may be interested in, though chances are that by then you'll have had enough driving and will just want to get back to your accommodations. Be sure to check out all of our additional Road to Hana on Maui tips and resources. No trip along the Hana Highway would be complete without exploring some of the area's lovely beaches. Make sure to know which ones you'll be stopping at before you begin your adventure. GuideofUS Hawaii encourages all visitors, prior to visiting the Hana area, to please refer to the official Hana Highway Code of Conduct, provided by the Hana Highway Regulation, An initiative of the Hana Community Association. Mahalo!